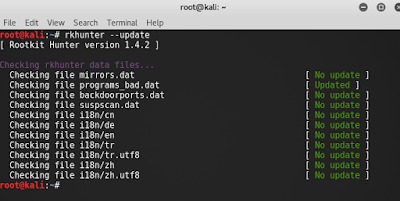 Rkhunter is an Unix/Linux based scanner tool that scans backdoors, rootkits & local exploits in Linux. It scans hidden files, wrong permissions set on binaries, suspicious strings in kernel backdoors and possible local exploits. It does this by comparing SHA-1 hashes of important files with known good ones in online databases. 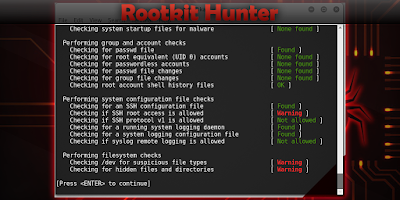 there are several rootkit scanner tools for Linux, One such rootkit detection tool is called Rootkit Hunter (rkhunter). 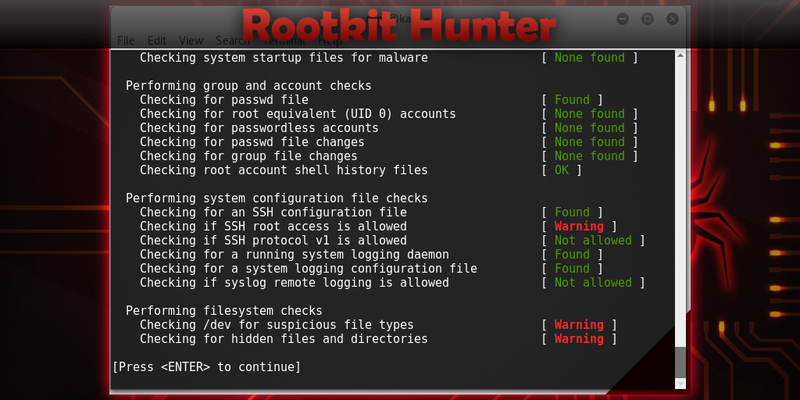 To scan your system using rkhunter, run the following. Once rkhunter is initiated, it will run a series of tests as follows.